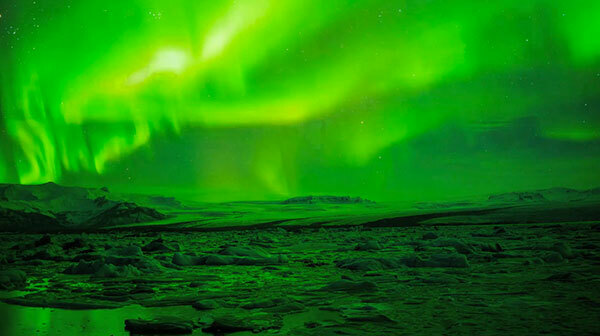 Beautiful time-lapse of the Aurora Borealis shot in Iceland. Aurora Borealis are a natural light phenomena that can be seen specially in the Earth Poles. The North Pole ones are called Aurora Borealis or Northern Lights, while the South Pole are Aurora Australis or Southern Lights. They appear because of a collision from the particles that form the sun wind against the magnetic fields of the Earth. The scene of this video is Iceland, a place with amazing landscapes at any time of the year, but it's in winter when this country attracts the most attention because of the Aurora Borealis or Northern Lights.